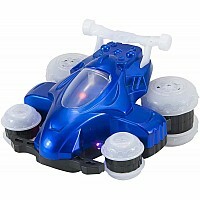 It sidewinds, hovers, spins, does wheelies and even stands upright! 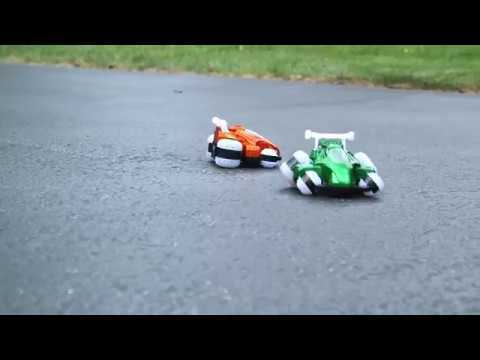 Side-to-side rotating wheels give this mighty remote-controlled stunt vehicle tricks to spare! 6 flashing LED lights bump up the cool factor. Requires 6 AA batteries. 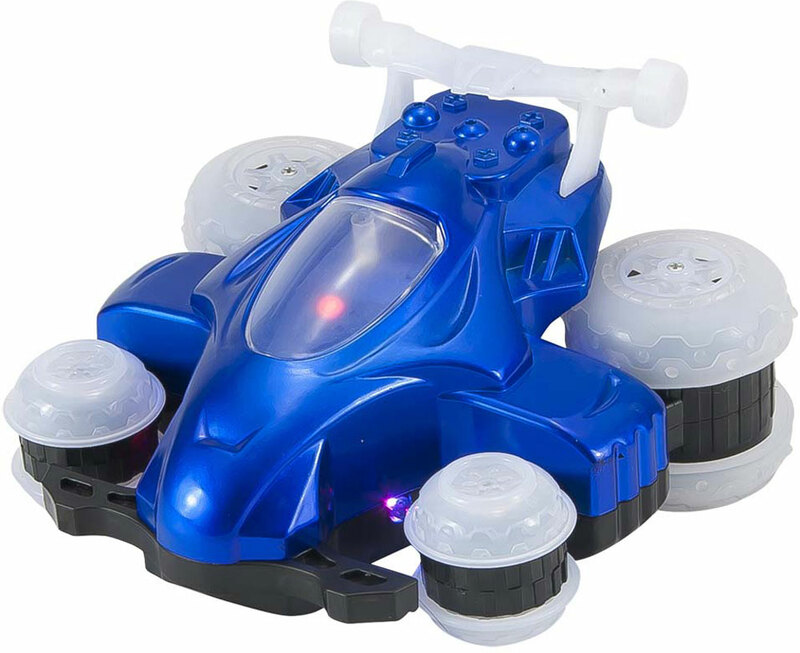 For ages 5-10 yrs, from Mindscope.